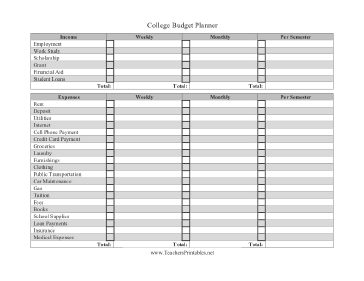 College students can weigh income against expenses in this free, printable budget planner. The student can check whether income like jobs, aid, scholarships and loans are weekly, monthly or per semester and then fill in the amount. The same can be done with expenses such as tuition, rent, and transportation.